Browse our beautiful selection of David Charles luxury designer dresses for girls at discounted prices. Every elegant and glamorous dress in our special offer section is on sale at a temptingly discounted price. Whether your little princess has a birthday bash to attend, a prom date to wow or a glamorous wedding event, she will be spoilt for choice with our special offer dresses. Check back regularly to keep up to date with our frocks and occasion dresses for sale. Embrace the beauty of springtime with our long ivory, gold and pink gown. Beautiful from top to toe, this couture children's dress really is a work of art and will grant your girl plenty of compliments at any special occasion. Whenever the occasion calls for perfection in the dress department, this superior staple will not disappoint. Available in a blissful ivory, gold and pearl pink colourway, our princess dress boasts artisan floral embroidery throughout so your little one stands out in style. A bespoke floor-length tulle layered skirt offers instant luxury for a modern take on new season ballroom glamour. This very feminine gown is adorned with finishing touches including a ruffled peplum waist trim, tulle bow and delicate frill cap sleeves. Concealed zip to fasten. Envelope your little one in springtime luxury with our turquoise embroidered daffodil dress. The perfect style match for parties and birthday celebrations, complete your girl's new season edit with this refreshing evening gown. 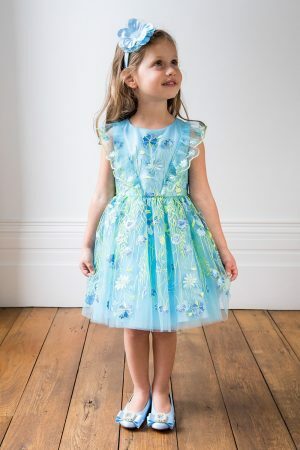 Available in a delightful turquoise shade with a daffodil and butterfly appliqué design, your daughter will look cute as can be whenever she's spotted in this pretty piece. This designer dress offers a modern ball gown style with lavish layers of tulle at the skirt. Embroidered cap sleeves lend a delicate appeal, while diamanté and matching appliqué bow serve to decorate your angel's waist for party time. Concealed zip fastening. Elevate your little one's wedding look with our luxury ivory bridesmaid dress. Inspire your girl's wardrobe this season and ensure she's looking her best in this polished piece. Now available for spring/summer, this really is a must-have style choice whenever your daughter has a wedding invitation. 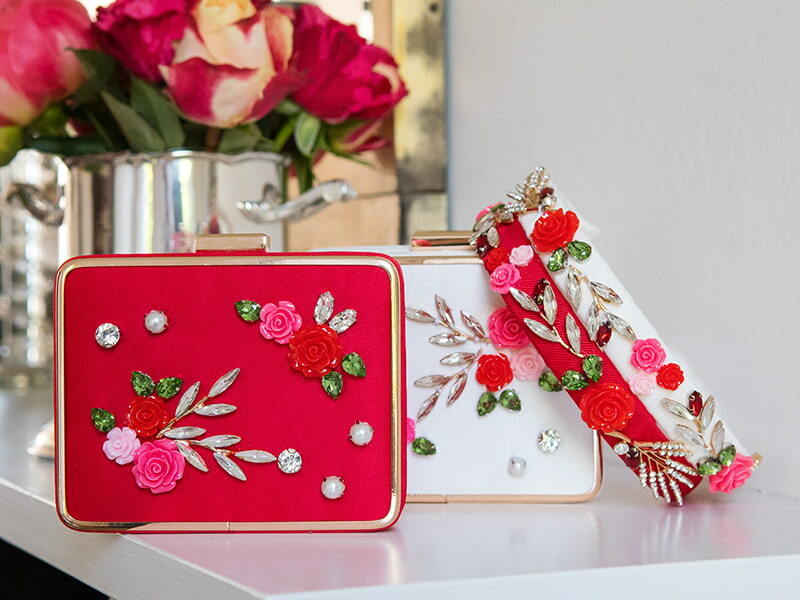 Designed with love, this colourful edition features pretty embroidered flowers to refresh your angel's day to evening look. The gown comes in a polished ivory colourway with pink, green, blue and yellow accents throughout. Elegant tulle layering and pleats add texture, while frill details offset the shoulders effortlessly. Concealed zip fastening. Grant your girl's style wish with this pale blue summer garden gown. Prepare to be amazed when your angel steps out in her new favourite seasonal gown. Special occasions call for immaculate style, and this pretty gown is sure to deliver a polished statement whenever your little one needs an extra touch of glamour. 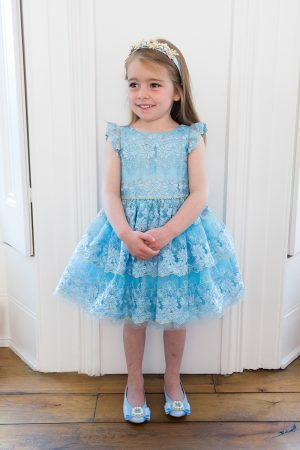 Featuring an on-trend pale blue colourway and embroidery inspired by fresh summer gardens, see that your daughter looks ready to celebrate in this deluxe dress. Asymmetrical ruffles define the gown's bodice, while soft tulle creates a full layered skirt that's perfect for the ballroom. This dress is hand-finished with a matching back bow and has a concealed zip to fasten. Celebrate the arrival of spring with this turquoise floral bridesmaid dress. Perfect in every way, this simple but super chic gown is sure to update your angel's occasion wear in time for the new season. Whether she's a bridesmaid or flower girl, make sure her wedding guest look is polished as can be with this designer dress. Available in a cool turquoise shade with a contemporary fit and flare silhouette, your cherub will be the epitome of elegance when she wears this spring/summer staple. The gown's luxe textured fabric is soft to touch and offers a comfortable fit ideal for day to evening events. Details include a full pleated skirt, embellished floral neckline and a pretty bow to the back. Concealed zip fastening. Envelope your angel in our baby blue floral jacquard dress. Springtime calls for head-to-toe elegance, and this exquisite gown delivers just the right amount. Whether your princess is heading to a party, pageant or opera evening, this David Charles edition will see she looks like a true superstar. 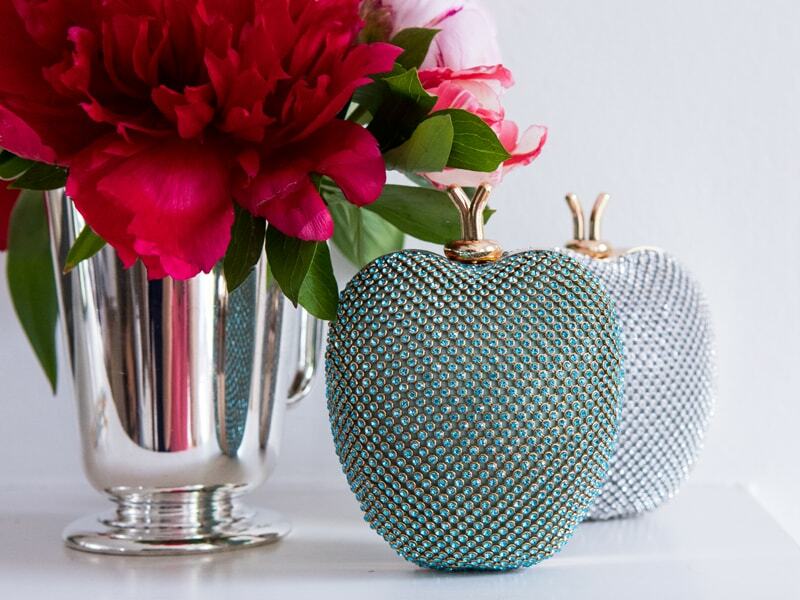 Featuring a polished baby blue colour infused with subtle ivory jacquard design, your girl is sure to fall in love with everything this designer piece has to offer. The waist is adorned with matching floral corsages to add a couture look into the mix, while tiered layering gives instant wow factor. Soft tulle layering reveals ballroom glamour from every angle and complements a waterfall pleated skirt. Our blue jacquard dress means your daughter can showcase her fabulous style, whenever the moment calls for a first-class dress code. Concealed zip fastening. Perfect your girl's style panache with this pastel blue floral layer dress. Exclusive to David Charles, this charming occasion gown belongs in your angel's new season collection. From the moment she tries this lavish number on for size, your little one will inspire and delight at any special event. Available in a fresh pastel blue shade with lace embroidered floral panels throughout, this bespoke evening gown is a must-have wardrobe addition. The dress includes dramatic tulle layering and a knee-length style for a modern update on ball gown glamour. Note the frill shoulder details, matching blue bow and precious gemstone waistline. Concealed zip to fasten. 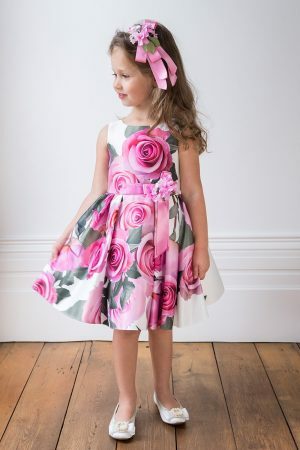 Spring is in full bloom with our blush pink flower girl dress. Special occasions call for head-to-toe elegance, and this signature David Charles gown is the icing on the wedding cake. 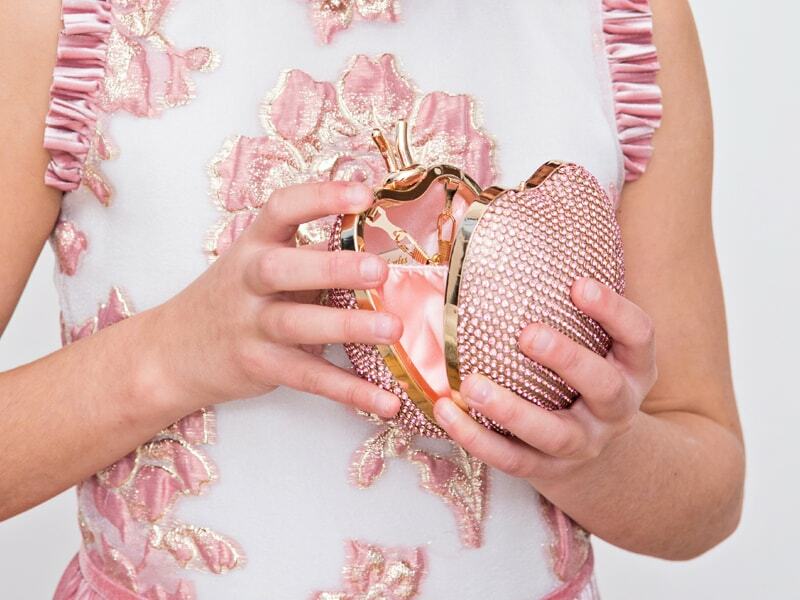 Whether you're treating your girl to a dreamy pink gown for a birthday or wedding, this pretty piece is sure add all the designer trimmings to her occasion wear. Available in a blush pink colour palette with sweet daisy design appliqué throughout, this gown offers the perfect artisan look. Our blush flower girl dress boasts a luxurious tulle layered skirt with embellished waist trim and ruffled cap sleeves. Concealed zip fastening. Shift into springtime with the candy pink butterfly ball gown by David Charles. Yours to cherish forever, this key designer piece is the icing on the birthday cake. With a candy pink colourway that looks good enough to eat, your girl will wonder how she ever lived without this must-have wardrobe edition. Perfect for birthday celebrations, prepare to embrace the prettiest shade of pink. Our pearl adorned waist chain complements the gown's butterfly and floral appliqué, and sprinkles a touch of embellishment into the mix for any special occasion. This dress features a tulle layered ball gown style and waterfall pleated skirt. Turn the gown around to unveil a matching sash bow. Concealed zip to fasten. Brighten up your your girl's day with our ivory corsage summer dress. A new season exclusive, David Charles proudly presents this special occasion gown to help your angel celebrate in style. The perfect choice for weddings, parties and birthdays, this polished designer dress will not disappoint. Available in a crisp ivory colourway with a gold accent waist corsage detail, choose this refreshing style staple whenever the occasion calls for a touch of glamour. The gown's fit and flare silhouette flatters from every angle, while tiered mesh layers deliver true artisan craftsmanship with every wear. Concealed zip fastening. 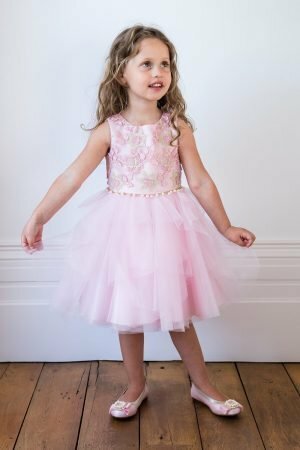 We’re dedicated to capturing the very finest high-fashion trends and transforming them into perfectly pretty party dresses for girls, making our range of party dresses and occasion dresses perfect for fashion-forward girls aged 2-16 years old. 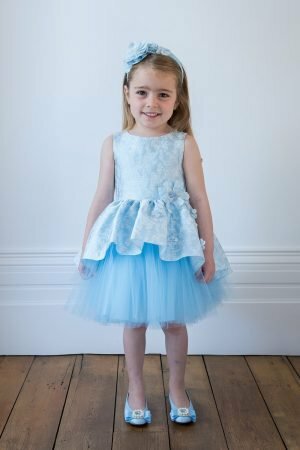 Created in sophisticated and cutting-edge designs from only the very finest fabrics and materials, your little girl is sure to feel every inch the princess in one of our fabulous frocks. Here at David Charles, we’ve made finding the perfect dress as simple as possible via our online store. You can browse all of our designer dresses and sort by price, age, colour and more to ensure that you find the perfect dress within a few clicks. 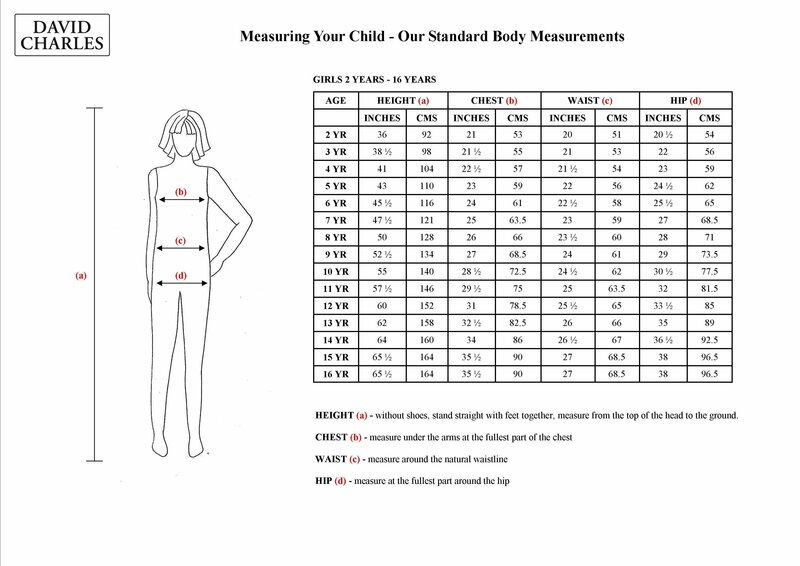 If you’re buying a dress for a little girl but unsure of her size, check out our detailed sizing guide for advice on finding that perfect fit. 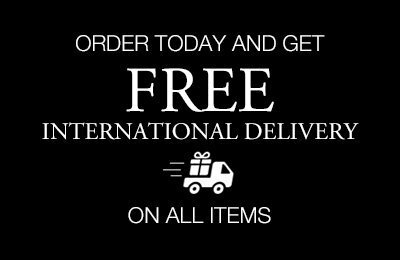 With our brilliant discounted prices and free worldwide shipping, your little angel’s dream dress can be hers for a fraction of the price. We guarantee the same high-quality and couture designs for all of our sale items, but you best be quick — our discounted dresses sell out quickly!